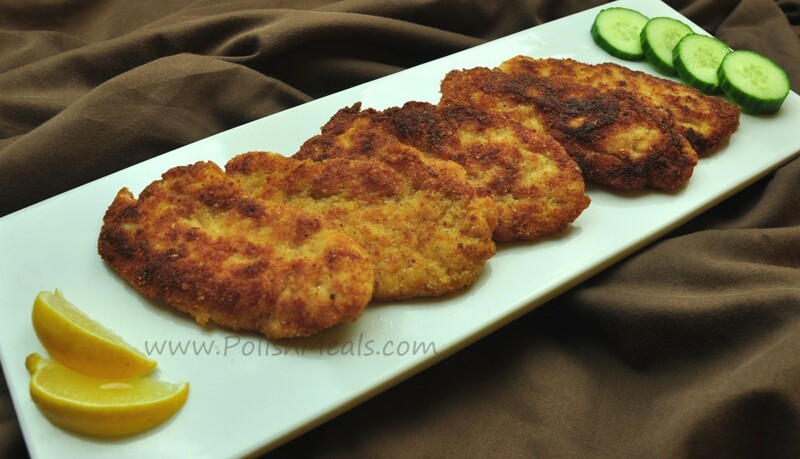 Polish Chicken Cutlet (pol. Kotlet z Kurczaka) is everyday traditional Polish main course. The name “cutlet” is derived from French côtelette and is prepared from thin slice of chicken breast or tenderloin breaded and fried. Chicken Cutlets are very popular all over the world, and in many countries known under a different name; in USA there are chicken fingers, in Austria – Wiener Schnitzel, in England – Chop or Japan -Katsu. Polish Chicken Cutlets can be served alone as an appetizer, with bread as a sandwich or as a main course. 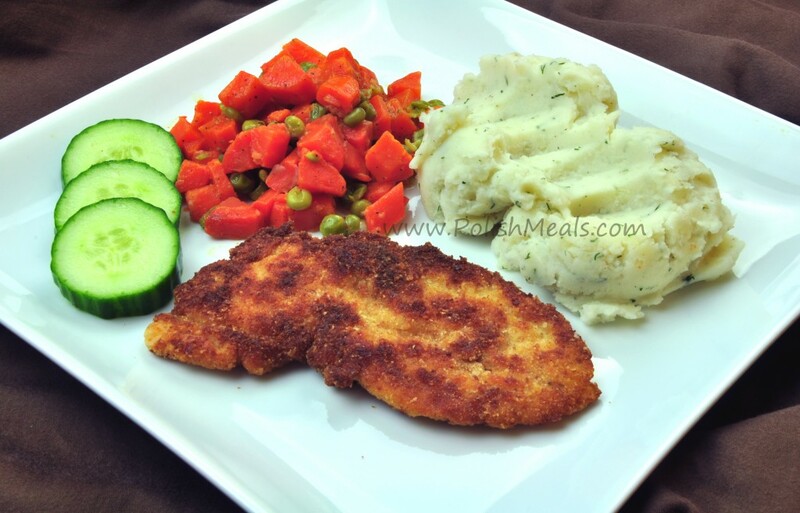 In Poland Chicken Cutlet is usually accompanied by Mashed Potatoes and another Side Dish or salad. Beat the chicken breasts and season with salt. On 3 separate plates place flour, egg (with salt and pepper) and bread crumbs. Coat each chicken cutlet in flour, then dip in beaten egg and toss in bread crumbs. Make sure meat is evenly coated. Heat oil in the pan (about 0.5cm or 1/4inch) and fry each side until light brown on both sides. Remove from the pan and place on a paper towel to drain excess oil. Squeeze the lemon before serving (optional). Posted in: Main Courses. Tags: bread crumbs, chicken, egg, flour.